The Society’s Northern Ireland Branch conference is featuring an opening public lecture on the subject of psychologically healthy workplaces, chaired by the Northern Ireland Chief Executive’s Forum and jointly presented by me for the BPS and the Psychological Society of Ireland’s Chief Executive Terri Morrisey. Public engagement is key to the Society’s work. It helps achieve our impact statement, equipping people and organisations with psychological knowledge. It advances our policy-influencing agenda, and this event leverages the Psychology at Work report launched at the APPG last year. Wellbeing at work is central to individuals, families and communities. With my having led an occupational health psychology service in the NHS it is a field I have spent much time in. No workplace will be perfect, and certainly not for everyone, but there are some key ingredients. In the healthy workplace, people have enough to do but are not overwhelmed, staffing is sufficient, work is interesting, people get a sense of fulfilment from what they do, and feel good about themselves in their family and community. Their role is clear to them and other people. They are involved in what they do, are consulted about how to achieve goals. They feel supported. Support at work for those with mental health issues is slowly getting better. I was really pleased to see in our report the focus on neurodiversity (e.g. dyslexia, dyspraxia, ADHD), so-called hidden disabilities; these are often misunderstood, and yet individuals provided with the right adjustments have significant strengths to offer. Relationships need to be respectful and constructive, and most people value the sense of community at work. Change needs to be well managed. This is often the most difficult to do well, and the sheer relentlessness of change, such as in the NHS, can lead to fatigue, disillusionment and disengagement. Leaders have a vital role to play in developing a culture that is supportive to ‘good work’, as the Taylor Review called it. It is the right thing to do for staff and importantly enables them to give a safer, more effective, better-quality service and experience to their service users. We as psychologists have a lot to offer, developing whole-organisation approaches, and delivering individual and team interventions. 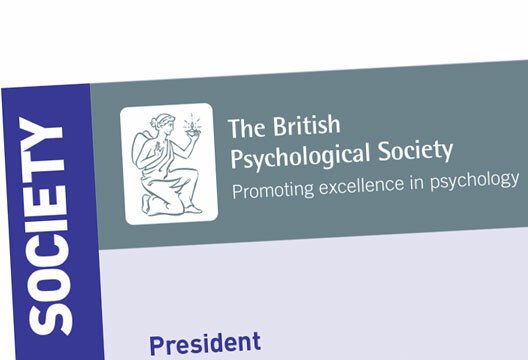 What does this mean for us as psychologists, as leaders ourselves and also as people who are led, and (not to be forgotten) what does it mean for how we engage with each other within the BPS?